In a one-sided thrashing, Oleksandr Usyk (10-0, 9 KO's) utilized his repertoire of armoury to rip the WBO cruiserweight title from Krzysztof Glowacki (26-1, 16 KO's) by unanimous decision. The intimidating eyes, the towering presence, is backed up with sheer skill inside the ring as Usyk, who is world champion in his 10th contest, coasted to victory with no real adversity to ever overcome. In a competitive scrap, each fighters enjoyed success in the opening stanzas. The challenger's mobility and reflexes allowed him to land double, triple jabs while slipping around the clutches of Glowacki, who, at first ask, failed to block Usyk's jabs and counter hooks. Glowacki's occupied a strategy of work to the body, and it worked at times. Usyk covered up well, however leaked the odd round on the scorecards as the offensive-minded Glowacki steered himself into the fight. Glowacki, though, with no head movement, was bewildered by the speed and accuracy, but also frustrated by his composure. Usyk capitalized on that weakness, but remained compact defensively to minimize the chance of being countered by the harder hitter. After the mid-rounds, Usyk imposed his all-round skill. 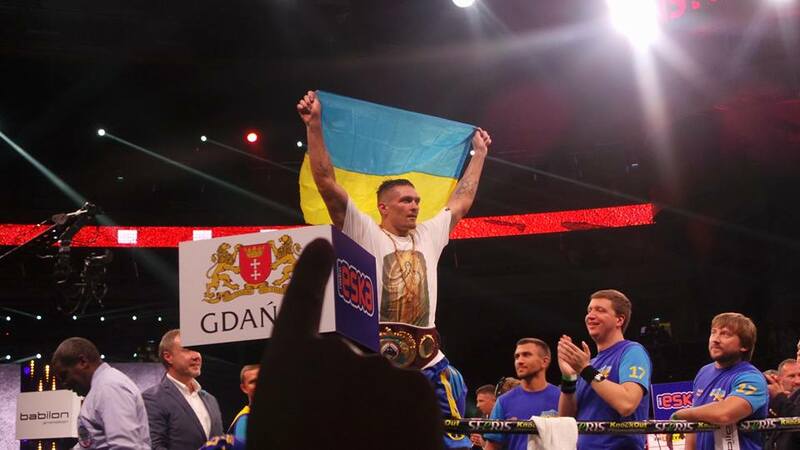 The intelligent angles, faints opened up the guard of Glowacki and allowed Usyk to fire home the straight jab, and, while the champion was occupied upstairs, the challenger then inflicted a hurtful combination of hooks downstairs. He was well in control. Oddly enough, a jaded Glowacki, trailing on the cards, then decreased his offense which enabled Usyk to employ a greater amount of pressure and inflict his most hurtful array of hooks that bounced off the battered skull of the champion. With the tank running low, Glowacki fell in danger of losing his title by stoppage, but did indeed show the required punch resistance to keep Usyk honest, who, with the fight seemingly bagged, showed understandable reluctant to close the show in style. After all, Glowacki did stop Marco Huck who was then ahead on the cards. At the highest level, skill trumps determination. Glowacki had the latter in abundance, but the cleaner, effective work stemmed from Usyk who deserved to win by unanimous decision. In a one-sided thrashing, Oleksandr Usyk (10-0, 9 KO's) utilized his repertoire of armory to rip the WBO cruiserweight title from Krzysztof Glowacki (26-1, 16 KO's) by unanimous decision.